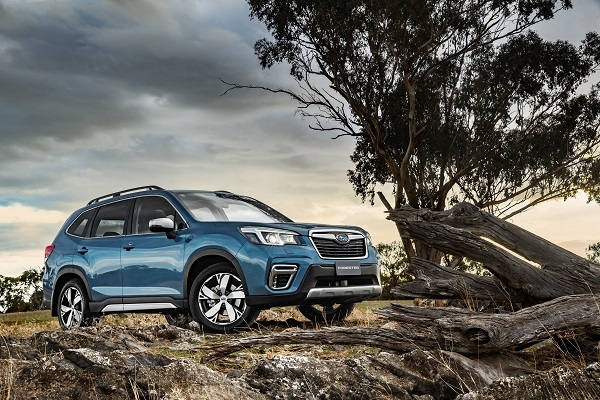 The fifth-generation Forester Sports Utility Vehicle (SUV) debuts with the Subaru Driver Monitoring System - Driver Focus (DMS) - enabling drivers topersonalisecabin preferences – a first for a mainstream brand in Australia. DMS is just one of many significant advances that underline Forester’s status as a leader in its class for driving fun, safety, whole-of-life value and sure-footed performance both on and off-road. 90% new direct injection engine– significantly more responsive and efficient, with 136 Kilowatts of power (+7.9%) and 239 Newtonmetres of torque (+1.7%). Seven-speed manual mode– ultra-reliable Lineartronic™ Continuously Variable Transmission (CVT) upgraded for more sporty response. Place Subaru at the forefront of mainstream brands for customer uptake of the award-winning tech, based on sales volume. Bring yet more safety to the masses. Roomiest Forester yet - distance extended between front and rear passengers. Fantastic family flexibility, thanks to efficiencies gained from the Subaru Global Platform. Larger, wider cargo area with easier access. Forester 2.5i Premium AWD and 2.5i-S AWD have a smoother, faster operating powered cargo door. X-Mode – with new features and functionality for even better sure-footed performance on challenging surfaces. Infotainment – Adds digital radio to Forester for the first time. Continues the trend of Impreza and XV in offering the very latest in cabin convenience and entertainment. Includes Apple CarPlay™ and Google Android Auto™ connectivity. Subaru Intelligent Drive (SI-Drive) -Making its debut in Forester 2.5i Premium and 2.5i-S, SI-Drive is optimized to improve fuel efficiency in I mode and increase engine speed in S mode, for even greater responsiveness. Steering responsive LED headlights (SRH)– across the entire Forester range. Approach and departure angles - optimized in line with proper SUV ability. Electronic parking brake – new to Forester, for added convenience. Latest application of the renowned Subaru Global Platform, which has won accolades for dynamic performance and sophistication. Interior quality– vast improvements, reflecting Subaru Corporation’s quality commitment. For added customer convenience, Forester becomes the third Subaru model, after Impreza and XV, to transition to a 12-month/12,500 kilometre service schedule, thanks to efficiencies gained via the Subaru Global Platform. 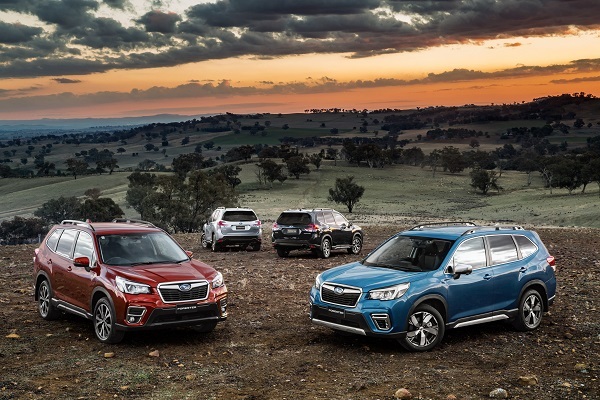 Subaru Australia Managing Director, Colin Christie, said: “Forester was Subaru’s best-seller last year, with over 12,000 vehicles sold, taking us close to a quarter of a million Foresters sold since launch. 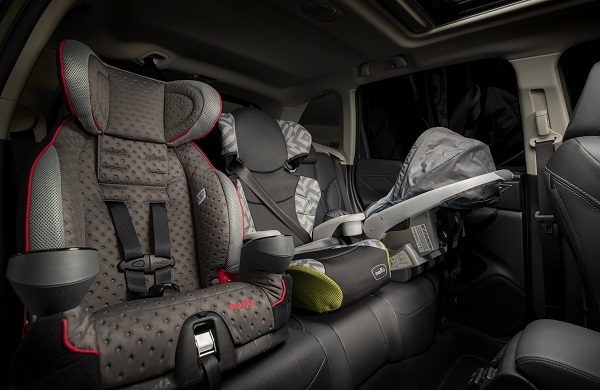 “New Forester is even more family-friendly - spacious, safe, fun and efficient, offering a great combination of comfort and adventure. “The responsive new engine underpins a lively package, capable of great on-road response and dirt road ability. “The many safety-related advances, from Driver Focus to EyeSight, X-Mode and RAB, also clearly demonstrate Subaru’s ongoing and oft-stated commitment to five-star safety credentials. It’s a growing portfolio of features that reflects ongoing refinement and innovation by Subaru Corporation. “Forester’s style draws on its distinct character strengths across five generations. “Of course, it’s all underpinned by Symmetrical All-Wheel Drive, in an age when many have a tenuous link, at best, to this key SUV attribute; and contributing to both safety and capability. 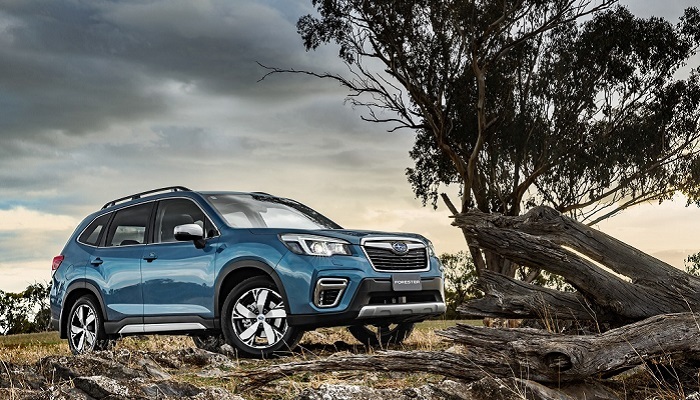 Mr Christie added: “It’s 21 years since first generation Forester launched in Australia, establishing a whole new trend by becoming the original compact SUV. 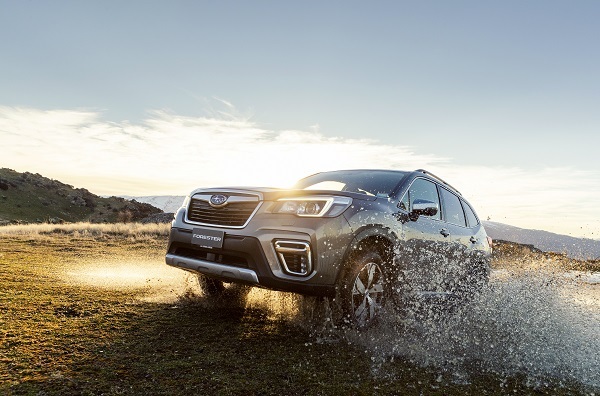 Subaru Corporation anticipates a high five-star occupant safety rating when new Forester is tested by the Australasian New Car Assessment Program (ANCAP) later this year. A Forester variant was the first Japanese-made vehicle – and first compact SUV – to receive a five-star ANCAP rating, in early 2003. That established a trend followed by the entire Subaru Australia range.